Before entering private practice, Dr. Plott was a research physician that spent years developing several of the dermatologic drugs most widely prescribed by dermatologists. Dr. Plott’s most notable invention is Solodyn®, which helps treat moderate to severe acne. He was awarded 6 patents for his invention of Solodyn®. Dr. Plott also helped develop Ziana® Gel, Noritate® cream, Carac® cream, Lotrisone® lotion, Vano cream, Loprox® Shampoo, and many other skin treatments. Most recently, Dr. Plott was appointed to the FDA’s Dermatologic and Ophthalmic Drug Advisory committee. He has worked with major pharmaceutical companies and now the FDA to bring innovative medicine to both patients and physicians. Throughout his 16 years working in the pharmaceutical industry, Dr. Plott monitored tens of thousands of patients and hundreds of clinical trials. After years of clinical research success, Dr. Plott was finally ready to return to his home state of Texas and begin seeing his own patients in private practice. 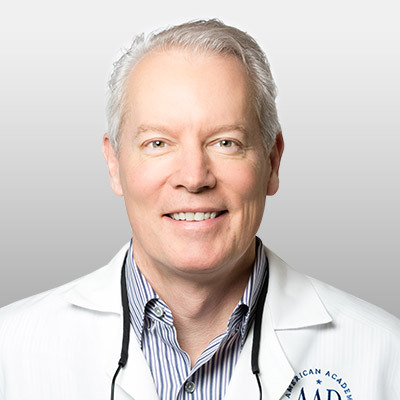 Dr. Plott currently serves as the Medical Director for the Dallas-Ft. Worth area for Epiphany Dermatology. In his spare time, he enjoys cycling, traveling with his wife, and spending time with his children, and new grandson.